OK class, everybody who seven days ago could name Scott Satterfield as the coach of Appalachian State raise your hands? Liars, liars, pants on fire. You all get 5 points deducted from your semester grade. That aside, absent any last minute snafus, before sundown, he’ll be the 23d head coach to lead University of Louisville football. For any number of reasons, it is a most fascinating changeover. Not the least of which is that the guy he replaces, Bobby Petrino, holds the best winning percentage of the bunch. At least since the Cardinals first leader, Amos Alonzo Stagg devotee Lester Larson (Ain’t Wikipedia grand? ), went 8-2 in ’12 and ’13. More salient is the Satterfield’s coaching resumé. A year as QB coach at Toledo. Two years as OC at Florida International. 51-24 as head guy at his alma mater, with only a single losing season, his first. Conference crowns. 3-0 in bowls. Yada, yada, yada. All info now indelibly memorized by Cardinal football aficionados. Before we get to the salient Reality Check, let’s savor what the Cardinals did do right in Chris Mack’s inaugural game as the head man. After going ofer the long ball in the opening stanza, well traveled grad transfer Jeremiah Jefferson had taken six treys in the 2d, and drained them all. When teammate Gavin Peppers added one of his own with 3:40 left, the never quit, foul laden Colonels from Thibodaux, La. (tib-uh-dough) had whittled the nervous Cardinals lead to a deuce at 68-66. You could almost hear the sphincters tightening. On the court. In the stands. During the final media timeout, Mack assigned defensive ace Darius Perry to check Jefferson. The beleaguered Cards did the tighten up. U of L scored but one FG from then on. After VJ King drained the second of two charity opportunities, Perry broke the press, went end to end for a layup. In the last two minutes of the nerve rattling contest, U of L went to the line fourteen times. Steven Enoch: 2/2. (He was 9/9 on the night.) VJ King: 2/2. Christian Cunningham: 2/2. Perry: 2/2. Cunningham again: 2/2. Dwayne Sutton: 2/2. Cunningham once more: 2/2 to make it an 85-72 final. One last look back at the remnants of the devastation that was U of L’s loss to Alabama in the opener. As I’ve written in blog comments somewhere since the game, I am disappointed but not disconsolate. Alabama did what Alabama does. The Tide rolled. They are an incredible football team, and getting steamrolled by them seemed about right frankly. 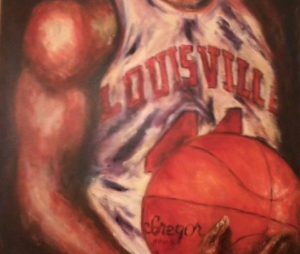 Which is to say most of the flaws present in U of L’s performance — one guy’s opinion — can be blamed on the Tide’s prowess, and the Cards understandable nervousness and lack of comparable ability playing such a perennial power. So, I’m willing to wait and see if some of the many gaffes on display Saturday don’t dissipate in coming weeks against less formidable opponents. Lawsuits. Now x 2. Fans suing the NCAA. Players suing the NCAA. Then there’s that litigation of former employees suing the school after being fired. Now there’s that pizza splatter all over the football program and the university since that Papa J has swan-dived off the side of the mountain onto the rocks below, fashioning his own professional demise, leaving lots of pissed off folks in the U of L community. So . . . for a breath of fresh air . 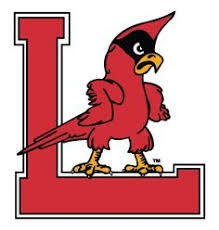 . . can we talk about some actual Cardinal hoops for a bit? I mean Coach Mack and Jordan Nwora did a meet and greet day before yesterday? Yes, but one other item first. And the aroma — despite one last springtime cold front — is as sweet as honeysuckle. But it came from out of the blue. Xavier blue. When the in the realm of all matters insignificant memory passed through my mind before Chris Mack’s boffo intro, it should have been obvious then and there how anxious I was, we all were for a reinstitution of hope. U of L basketball has turned the page, is starting a new chapter. The windows have been thrown open, fresh air is circulating the premises. And, while I’m tossing about worn clichés, it would be easy to fall into the trap of offering this: There’s a new sheriff in town. Except that this new fella come down from upriver doesn’t seem like the guy who would fling open the swinging doors and swagger into Louie’s Saloon with an air of high authority, making sure all the boys at the bar saw his badge’s gleam in the gaslight. He’s more the dude who shows up late after a long day toiling at the livery stable, has a shot maybe two of sarsaparilla but rarely if ever too many then heads home to buss his bride on the cheek and tumble about with the kids. 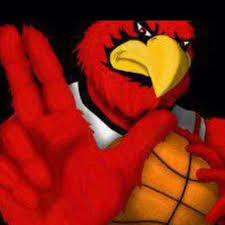 So, then I arrive here: to say that a new era in Cardinal hoops has dawned. That the new guy in town, Chris Mack, looked out at the assembled to the phalanx of former hoopsters who thrilled us in the red & black, and proclaimed, “This is your program. I want each of you to know there are no different eras.